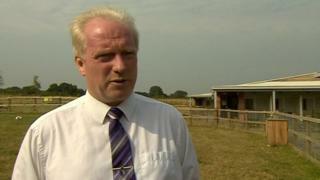 The former boss of a dog charity and his wife have been charged with fraud after £450,000 of donations went missing. Simon Price was chief executive of Birmingham Dogs Home in Solihull and his wife Alayna was commercial manager, before their arrests last year. The pair have now been charged with fraud by abuse of position after initially being arrested for theft. They are due before magistrates in Birmingham on 1 November. Mrs Price is also charged with concealing, disguising or converting criminal property, the Crown Prosecution Service said. John Wheatley, chairman of the charity, said the team "remains hopeful the funds can be recovered". The charity provides care and support to thousands of stray and neglected dogs and moved to a new £5.5m 12-acre site in October 2016. It cost more than £1.85m to run the home in 2015.